Public service is one of the most stable lines of work one can pursue. Even when a career public servant is negatively affected by a reduction in force, government organizations do all they can to help their staff keep jobs. In addition to the stability offered by public service, retirement benefits are a big selling point for potential new hires. It is no secret the value of public service retirement benefits has eroded in recent history; however, so has the value of similar benefits in the private sector. Government retirement benefits aren’t what they once were, but they’re still beating the private sector. There are three major factors that go into making these benefits a reason people choose public service and stick with it. The first good thing about government retirement benefits is how easy it makes retirement planning. While everyone needs to be aware of the three-legged stool of retirement, two of the three legs are as solid as they can be for public servants. Employer retirement plans and Social Security are predictable and locked in for public servants. With some personal savings, government workers can almost guarantee themselves solid retirement. The rules for government retirement systems rarely change for current employees. They are usually exempted from changes that would negatively affect them. Instead, lawmakers authorize changes for new employees who will have little understanding of the old rules versus the new rules. Current workers stay satisfied, and new workers don’t know what hit them. This does not mean the rules of the game never change for current government employees. But such changes happen on occasion. When they do, public servants must quickly assess what the changes mean for them personally and then adjust their retirement savings strategies accordingly. With diligent planning early in their careers, public servants can make sure their pensions and Social Security give them all or almost all the money they’ll need. Retirement systems and Social Security provide steady monthly income, and personal savings gives government retirees a safety net for unplanned expenses. Health insurance is a valuable benefit that is often tied to a person’s employer. Many government retirement systems afford retirees similar health insurance options to those presented to employees. This means people can transition from active public service to retirement without the worry, hassle and increased expense of purchasing health insurance coverage on their own. Retirees may not even notice a difference. For instance, if employees have their health insurance premiums covered 100 percent and their immediate family covered at 50 percent, this continues in retirement.They do not have to worry about losing their health insurance benefits because they no longer have an employer. The retirement system foots the part of the bill the employer previously paid. Retirement systems pay annuities to retirees for the duration of their lives. For the systems, it all averages out. For every person who lives 10 years past average life expectancy, there is someone who dies 10 years before it. It's the law of averages at work. This lifetime income is important for retirement planning purposes. People can know what they will receive every month for the rest of their lives. Many retirement systems have built-in ​cost-of-living adjustments to make sure annuities retain their buying power over time. 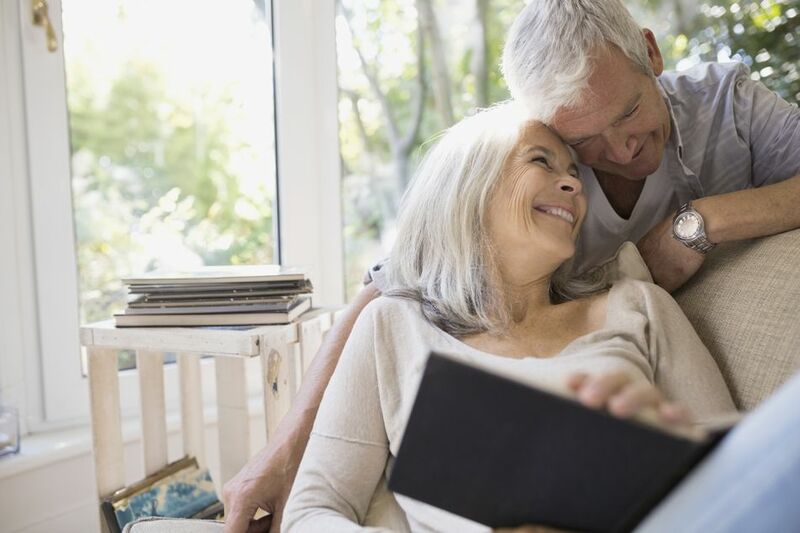 Some retirement systems have stipulations where retirees must choose trade-offs between how big the annuity payment is versus how much a spouse receives should the retiree pass away. Here is an example: A retirement system’s default is for a surviving spouse to receive 50 percent of the retiree’s annuity. The system gives retirees a couple of options for making the surviving spouse’s benefit greater. In exchange for a 12.5 percent reduction in the annuity, the surviving spouse receives 75 percent of the annuity after the retiree’s death. In exchange for a 25 percent reduction in an annuity, the retirement system pays out 100 percent of the reduced annuity until both spouses pass away. Guaranteed income is a huge benefit for public servants. In a world that has largely gone to defined contribution plans, a defined benefit plan is immensely desirable.